glaze is a walk in paint your own pottery and glass fusing studio. We are located in historic Thiensville, WI. glaze is a hands-on art studio offering various types of art medium including pottery, glass fusing, raw clay, wine glass painting, silver clay & acrylic painting. We are extremely kid friendly. We also cater to groups of 6 or more with a reservation. 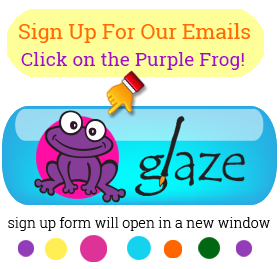 glaze is also home to The Purple Frog, a parlor where ice cream, popcorn, gourmet toast and beverages are served. 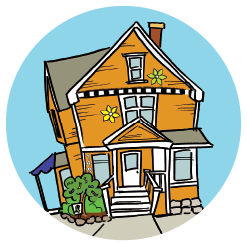 or purchase a gift certificate here!